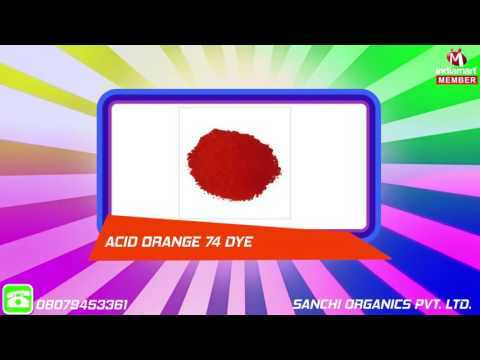 With our establishment in the year 1992, "Sanchi Organics Pvt. Ltd.", has emerged as the prominent and renowned manufacturer and supplier of exquisite range of Chemicals & Dyes. Our product range comprises of Basic Dyes, Direct Dyes and Solvent Dyes. These products are offered in unmatched quality and developed as per the specifications defined by the relevant industry. All these offered products are made from finest grade basic components under the assistance of our highly skilled and experienced professionals. Apart from this, we are offering these products at reasonable price within the limited frame of time.